For me it's becoming more and more important to have products with ingredients that I can pronounce, know what they are and to have things as basic as can be. Putting things on our hair, skin, nails is just like putting something inside our body, no? 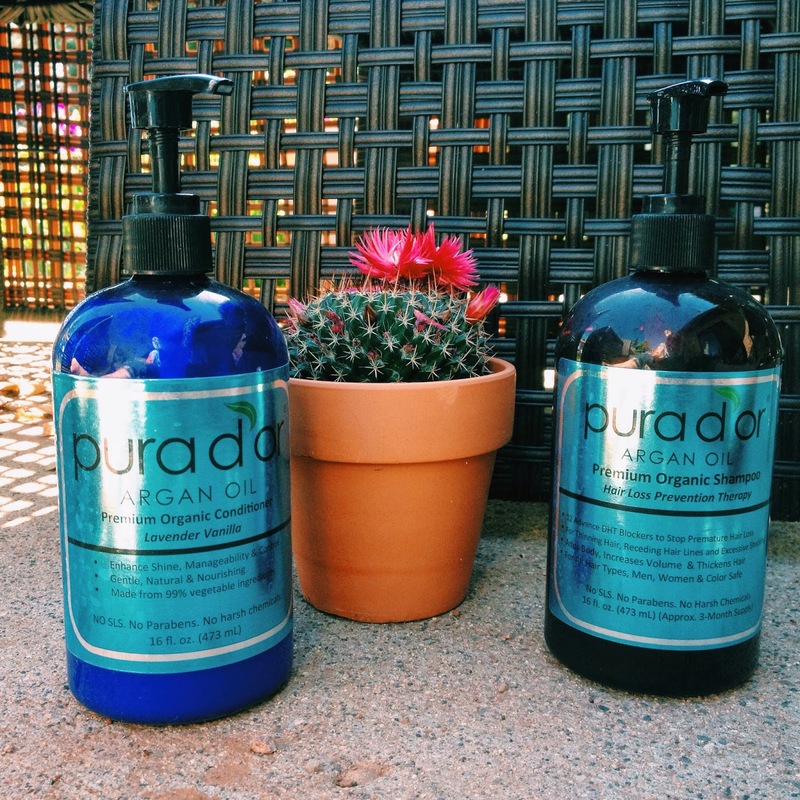 I was happy to try out Pura D'or Argan Oil shampoo and conditioner because Pura D'or uses ingredients that are not only organic but also naturally beneficial, sustainably grown and raised with respect for the animals that eat them and the people who produce them. I tried shampoo for hair loss prevention and conditioner that smelled like bliss also called lavender vanilla. Below are the details. I wanted to try the hair loss shampoo because I've noticed I tend to lose a good amount of hair in the shower. It was gentle, had a good scent and made my hair feel good. The conditioner smells amazing and makes your hair feel nourished and makes it manageable. I like the honest ingredients. Basic and pure goodness for your hair. Pura d'or does things right. For more than four years, Pura d'or has been growing a culture planted on a natural set of values and beliefs. But when all is said and done it comes down to one unified mission—to create organic personal care solutions that naturally work. All of their ingredients are grown on trees, not in test tubes. The products are artisanally handcrafted by a hybrid team of artists and scientists, not by machines. Some say that this is a step backward, but they believe that this is a step in the direction of how things should be. To learn more, please check out Pura d'or on their website.